A tectonic plate boundary is the fault line between crustal plates. There are divergent boundaries, convergent boundaries and transform boundaries. Scientists use seismographs that record earthquake waves to find the outline of the different crustal plates. 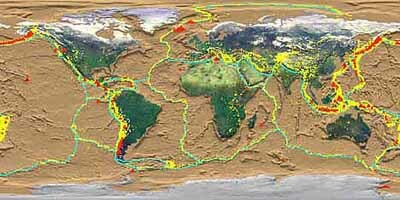 Numerous earthquakes occur along plate boundaries as the rocks break under the strain of the movement of the plates. Divergent boundaries form when two plates are separating. A bulge forms along the boundary pushing up the seafloor. A rift valley forms between the plates. Molten rock forms in magma chambers beneath the valleys. Fissures open up and lava pours out on the seafloor forming the newest crustal rocks on the planet. Divergent boundaries are found on seafloors in all the oceans on Earth. The rift valleys are summit of a great mountain chain formed by the divergent boundaries called the global mid-ocean ridge. It is the largest volcanic feature on our planet and is approximately 80,000 km long. Convergent boundaries are places where two tectonic plates converge. A collision boundary forms when two continental crusts smash together. The crust is not destroyed. Instead, the extreme pressure as the tectonic plates converge create great mountain chains and deepen the crust beneath the mountain chain. 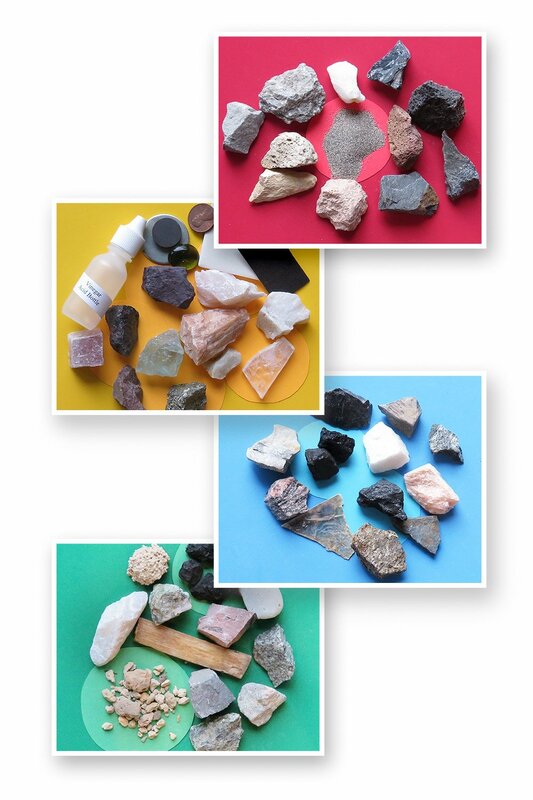 Metamorphic rocks form as minerals recrystallize in the rocks beneath the mountains due to the extreme heat and pressure. Gneiss rocks, which are high-grade metamorphic rocks, form at the base of the mountains where the pressure and heat is almost enough to cause the rocks to melt. Subduction zones from when an oceanic plate converges with another tectonic plate. At the plate boundary an oceanic plate bends and is forced into the lithosphere. The rocks eventually melt and are recycled. Above the melting seafloor on the overriding plate a chain of volcanic mountains grow. Between the two plates a trench forms. Off Guam in the Pacific Ocean is the Marianas Trench. The Challenger Deep is part of the trench and is the deepest point on Earth. Plate Movements Do you know what are divergent plate boundaries, convergent boundaries and transform faults. Find out on this page. Crustal Plates Find out how continental crust and oceanic crust forms on our planet. The Earths Mantle Find out about the Earths mantle that contains 84% of the Earth's mass. Earths Interior Find out about layers that have formed inside out planet and how they were discovered. Alaska Northern Lights Learn how and why the Northern Lights light up the sky in the Northern Hemisphere. Tectonic Plate Boundary Find out how and where a tectonic plate boundary forms on our planet. 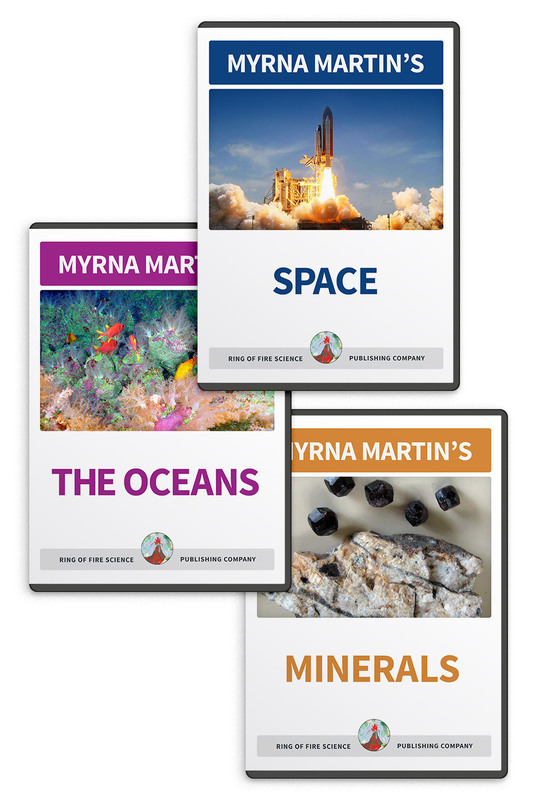 Planet Earth Find out about the different layers that make up planet earth from the core to outer space. 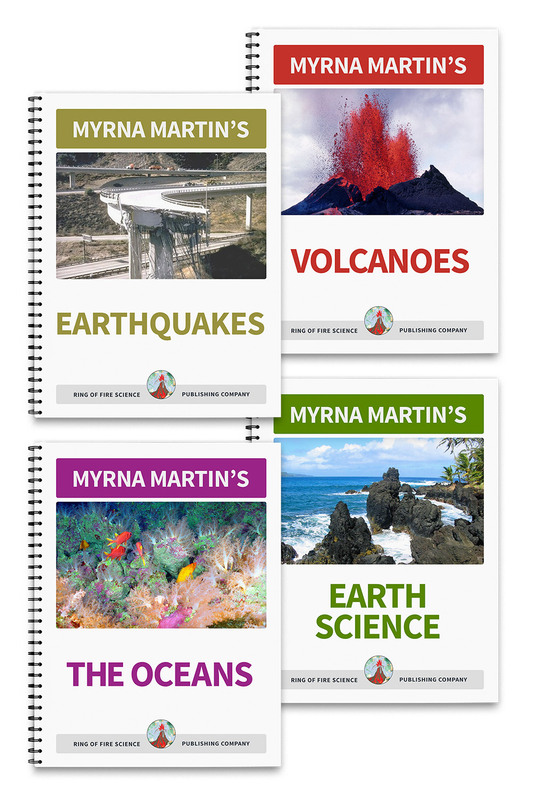 Home Page The Science Site contains information on our planet, volcanoes, science activities, earthquakes and much more.